The fourth and final coin in the RCM Birds of Prey Series, this 1 oz Silver Great Horned Owl Coin is the last of the formidable winged predators theme. As a collection worthy silver bullion coin, the limited mintage of 1 million coins make this a great buy for seasoned silver bullion investors or first-time silver coin buyers. The great horned owl (Bubo virginianus), also known as the tiger owl, is an extremely adaptable bird with a vast range and is the most widely distributed true owl in North, Central and South America. Its primary diet are rabbits and hares, rats, mice and voles, although it freely hunts any animal it can overtake. As Canada's most common bird of prey, the great horned owl is a symbol of power and agility, with unique features that lend themselves beautifully to this engraved portrait. The reverse design of this silver bullion coin is by Canadian artist Emily Damstra. It features a faithfully engraved portrait of a great horned owl descending upon its prey. The silver coin's obverse features the effigy of Her Majesty Queen Elizabeth II (by Susanna Blunt), along with the silver bullion coin Canadian legal tender face value and its year of issuance. This 2015 1 oz Silver Great Horned Owl Coin's .9999 silver bullion coin content and 1 troy ounce weight are guaranteed by the government of Canada. You can take discreet direct delivery or elect to simply store Silver Great Horned Owl Coins safely and securely with Kitco Allocated Storage. 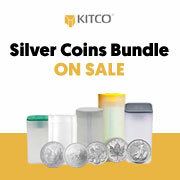 Kitco offers various global options for silver bullion coin storage that are fully segregated, insured and allocated. Kitco's network of top-tier silver vaults include some of the most secure silver storage facilities located in Canada, Hong Kong or the United States (COMEX approved). Cayman Islands silver storage is also available (certain conditions apply). Find out more about keeping silver bullion coin and other physical precious metal bullion purchases secure, with our Global Precious Metals Storage Solutions. The Royal Canadian Mint is a Canadian crown corporation that mints all of Canada's circulation coins. Since it released Canada's first domestically produced coin in 1908, the Royal Canadian Mint has acquired a global reputation for silver bullion minting excellence. Today, the Mint's superior technical capabilities allow it to set new benchmarks in silver coin design and quality. Why buy Canadian Silver Owl Coins from Kitco? Kitco is a direct Authorized Purchaser of Royal Canadian Mint silver bullion coin products. We are a highly trusted leader in the silver bullion coin and physical precious metal bullion industry. Silver coins and other precious metals sold by Kitco are recognized in bullion markets around the world. With our focus on silver bullion, you benefit from our low silver bullion coin prices and premiums that are highly competitive in the industry. At Kitco, we also make it easy for you to manage your tangible wealth. You can sell or buy silver coins and other physical precious metal bullion items using our convenient online store, or by contacting our team of highly trained precious metals specialists. Backed by our global information network, Kitco has been proudly serving our customers since 1977. The 1 oz Silver Great Horned Owl Coin(s) you receive may not be in absolute mint condition.